DJ Gary, who is a specialist wedding DJ, takes pride in providing the quality of service you deserve for your special day. Gary (who lives locally in Royston) has an entertaining and friendly approach to running his discos. Gary bases his success on being professional and reliable (there is nothing worse than worrying that your Disco won’t arrive or is travelling in from miles away and gets snarled up in traffic or bad weather). Booking a local DJ can help remove this worry when organizing a party or event. Gary has invested over the years in the very best disco lighting effects including the very popular MOOD lighting also a fantastic digital sound system (that will Not trip the South farm sound limiter!!) along with over 40,000 songs with music from the 60′s to today’s charts so your music choices are never a problem. Gary also has full public liability insurance for your piece of mind. 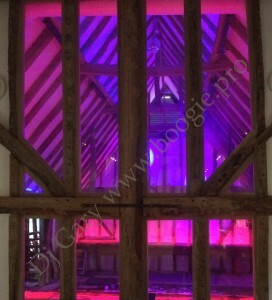 I am a very experienced wedding DJ with 800 successful bookings at South Farm and counting!! 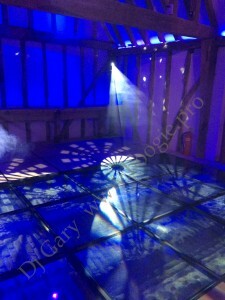 As South Farm’s House Dj I am privileged to have been an integral part of the design, set up and installation of the high-tech lighting system that graces this stunning new addition. 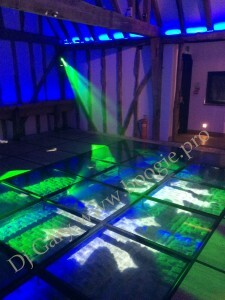 I have personally programmed all the lighting and effects from under the (non-slip) glass dance floor showcasing the original cobbled stable floor to high up into the beautifully restored ceiling beams. This involvement has given me a fantastic advantage as I am able to provide an impressive and versatile matrix to suit every mood! 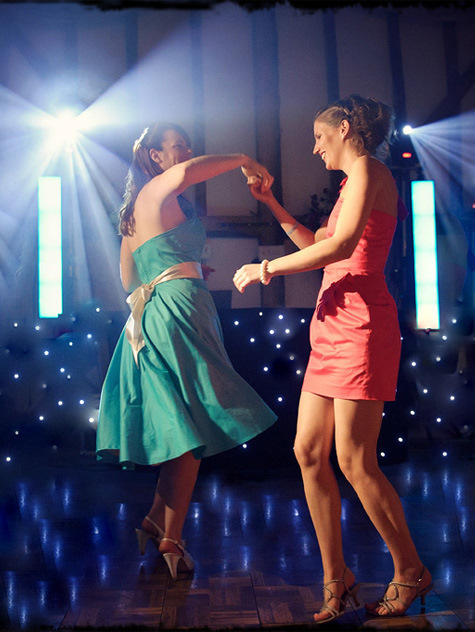 The lighting changes can also be set to change in time with the beats of your favourite song adding an extra, and very special, element to your wedding. I have calibrated the South Farm sound limiter to my personal system so you don’t need to worry about the music being cut-off in mid flow. This is an advantage I have over bands and other DJ’s. 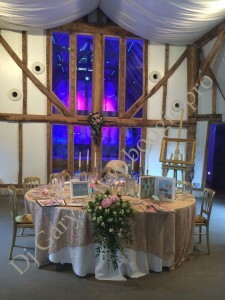 Alternatively you can use The Horse Barn for another purpose, a lounge area for example, and still have the same fantastic lighting options in The Tudor Barn.  Very fast set-up time…I can be ready in just 30 minutes!  My system will NOT trip the South Farm sound limiter!  The booking is not contracted out to another DJ…please don’t be fooled; big companies do this all the time!  We are only 3 miles from South Farm so no added travel expenses!  No VAT or commission to pay!  I am between £100 and £300 cheaper than my competitors! The most common question I get is: What music do you play? There is no real answer to that because every Wedding Disco is different,unique and tailored to the needs of my clients. The music I play on a Friday evening at a Wedding Reception could very well be totally different to what I play at another event the following night. It is for this very reason that I do not have a playlist of songs and they are usually only associated with bands that have a limited number of songs they can perform. A Professional Wedding DJ should have a selection of music that caters for everyone. The Wedding Disco should be made up of a mix of music styles because there are people of all ages attending your celebrations. Everyone has their own taste in music and it would be a boring world if we all liked the same songs. However, the diverse music preferences of people mean that an experienced Wedding DJ should be able to program the music choices with everyone in mind. A live band can create a great atmosphere, but they have their limitations.They cannot have the repertoire of music that a DJ can carry and they rarely work for more that 45-minutes, without needing a break for refreshments. Bands can also struggle to get the atmosphere going if their set list isn’t working – I’ve known some bands who stick rigidly to a set list, despite the dance floor being empty. A Professional Wedding DJ will be able to read the crowd and gauge the need and mood of the guests to tailor the music selections to get the party in full swing. I carry a selection of songs that goes as far back as classical music through to the current charts. I need that catalog of music because it allows me to cater for almost any type of request that comes in. 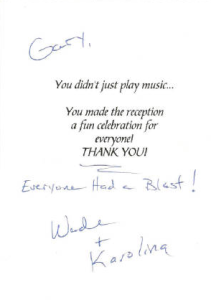 I give all my clients the opportunity to come forward with their favorite music selections because as soon as the First Dance is completed, they must enjoy the evening celebrations as much as their guests. One of the most important aspects of my job is client contact. I feel that meeting up with my customers before their Wedding Day is a vital way for me to get an idea of what their thoughts and requirements are. The meeting also gives me an opportunity to make suggestions on how they could improve the event. However, the final decision always lies with the Bride and Groom. This is my full-time occupation and I make sure that every customer receives the highest level of service from me. My Testimonials page will highlight that I aim to exceed the expectation of my customers.